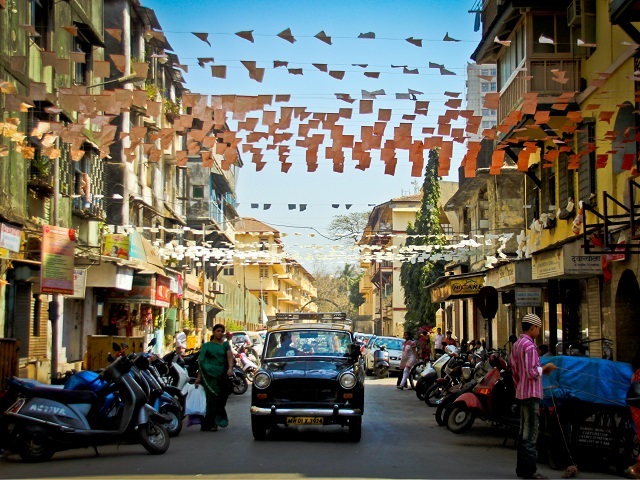 A street scene in Mumbai, India. Cars–and how we use them–took center stage in this year’s series on TheCityFix. Photo by Nico Crisafulli/Flickr. Cities are complex systems, and many of the problems facing our urban communities are deeply complex. From the local decision making environment to shared mobility and managing transport demand, three series featured on TheCItyFix this year took a deep dive and examined some of the world’s most pressing, complex urban issues. These series brought together global experts with a range of perspectives to discuss the challenges, barriers, and solutions facing cities in 2015, and they are very much a reflection of the world as it is right now and the stories that will continue to play out across the globe into the new year. By 2050, there will be more than 2.5 billion people living in cities by 2050 and global car ownership could double, from 1 billion to 2 billion. 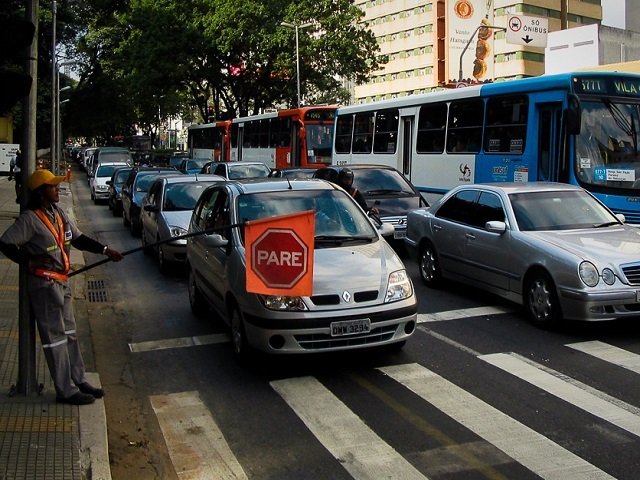 However, as transport expert Juan Miguel Velásquez notes, “traffic crashes worldwide claim more than 1.2 million lives every year and are on track to be the fifth-leading cause of death by 2030. In the United States, commuters waste 4.8 billion hours in traffic each year, translating to $101 billion in lost economic productivity. And in Beijing, the costs of congestion and air pollution are an estimated 7-15 percent of GDP.” If car-centric urban development continues at a global level, cities risk locking in to intractable congestion and inefficiencies in the local transport system. Public policy has typically focused on expanding the supply of transport options—either by building more roadways or increasing public transport. Our series Moving Beyond Cars takes a look at the demand-side solutions that are emerging in cities around the world. Transport Demand Management (TDM) strategies combine public policy and private sector innovation to target car dependency at the source—at the reasons why so many people need to drive. Read more to learn how local governments in Brazil, China, India, and Mexico are working with businesses to transform how we travel. 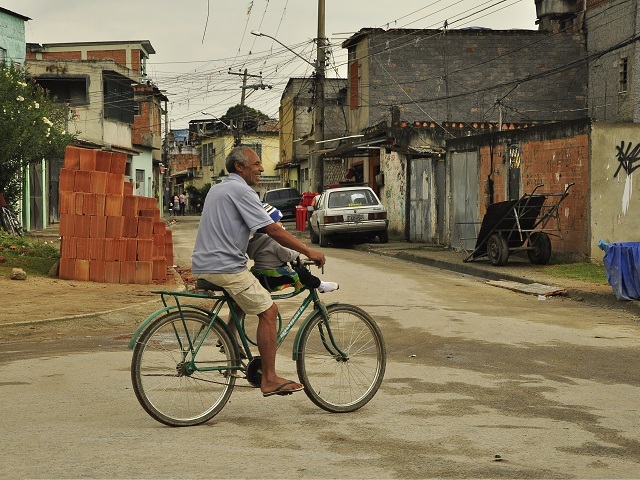 How cities are governed has a significant impact on whether low-income communities, like Rio de Janeiro’s favelas, genuinely benefit from infrastructure projects. Photo by Mariana Gil/EMBARQ Brasil. Corruption, a lack of capacity, and opaque decision making processes are just some of the problems plaguing local governments. In her series on governance, former WRI Helms Fellow on Urban Governance and Sustainable Cities Maria Tigre explores the question, “how do we make cities work for people?” Drawing on her field research in Rio de Janeiro and São Paulo, Maria identifies key governance gaps in urban planning, law, public policy, and local institutions and proposes her own framework for reforming urban governance. Each part of the series examines a fundamental aspect of urban governance—access to information, participation, institutional capacity, accountability, and resilience. A critical look at decision making at the local level, From Ideas to Implementation is a story of how many cities actually work and what we can do to get them to work for people. 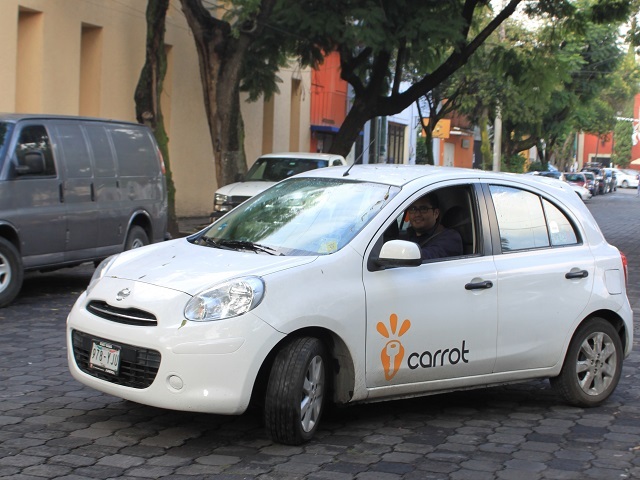 New research by WRI Ross Center for Sustainable Cities shows that carsharing operators, like Carrot, are booming–and will play a significant role in shaping sustainable urban mobility. Photo by Eliseo Gasca/EMBARQ Mexico. Growing from 6 operators in 2012 to 41 by mid-2015, carsharing is rapidly expanding in emerging markets like India, China, Brazil, and Mexico. For example, carsharing in India and China has grown so quickly in the past few years that they have outpaced more established markets like the United States and Europe. Three car sharing operators (CSOs) in China and India—two of which are only a couple years old—now have more than 100,000 members each, the largest in emerging markets. How will carsharing affect the future of sustainable mobility in these countries? In a “stepping stone” scenario, carsharing could reduce barriers to accessing a car and encourage more driving overall. Alternatively, in a “leapfrog” scenario, carsharing could serve as a convenient and affordable option to urban residents, allowing cities to completely bypass a situation of widespread car ownership. With evidence from case studies in Hangzhou and Bangalore, our series on carsharing builds on new research from WRI Ross Center for Sustainable Cities, examines these scenarios and identifies the key challenges and barriers to ensuring that carsharing results as a vehicle for sustainable, shared mobility. This week on TheCityFix, we’re taking a look back at all that happened in 2015. Click here to check out 5 conversations we had this year with the world’s top urban experts and leaders.